Communication only works if you're understood Header set Expires "Wed, 15 Apr 2020 20:00:00 GMT" Header set Cache-Control "public"
The World of the Internet has more than it's fair share of jargon. 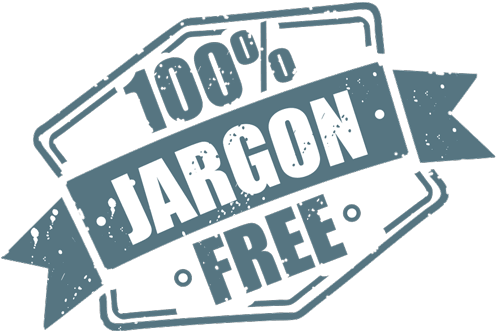 Though there are specific technical terms there is a lot more that is jargon for jargons sake. If you have read a few of my little bloggets you will realise I have gone to some trouble to not use jargon and be as clear as I can about the subject I am communicating. There are some in all industries that thinks it makes them looks clever if they spout a lot of terms, abbreviations, technical terminology which is all meaningless to the listening party. In fact there seems to be some sort of 'clever' bonus in being as impenetrable as possible. It's a bit like speaking Chinese to someone who only speaks English because you think it makes you look clever. A pretty pointless exercise if you actually wanted to communicate anything other than how clever you thought you were. If you want to look clever then show it by explaining difficult technical concepts in a manner that can be understood by those not involved in your speciality. Making that work is clever. Doing it without being patronising can be something of a challenge too. I work to communicate in such a way that my clients have some idea of what I am looking to do on their behalf. If they don't understand then how can they provide the feedback I need to create what they want or need in a website? It isn't rocket science.